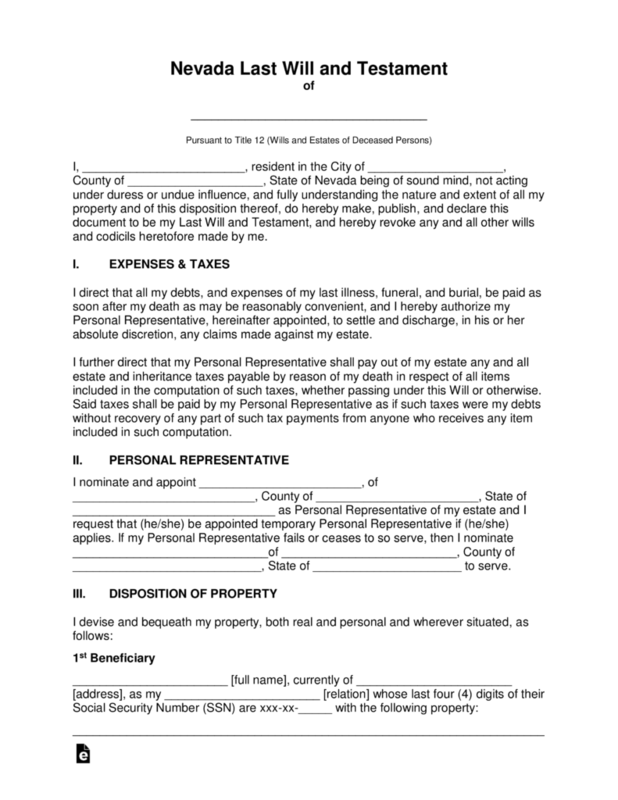 The Nevada Last Will and Testament is a document that is written by a testator to set forth the decisions they wish to make for their personal property, real property, possible trust funds or even fiduciary assets. The document will provide a representative all of the information needed to ensure that a testator’s family, friends or anyone or organization they may wish to gift property to receives the gift(s) and that distribution is as the testator chooses it to be. 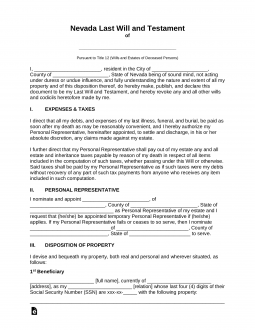 The document will require signature of two witnesses. As well it must be notarized. This document may be revoked or changed at the testator’s discretion. Signing (NRS 133.040) – Attested by at least two competent witnesses who subscribe their names to the will in the presence of the testator. Step 7 – Notary Public – shall witness all signatures and complete the form by affixing the state seal.